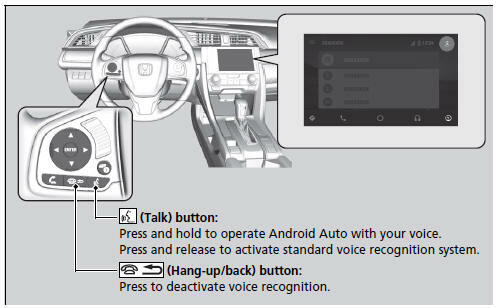 Press and hold the talk button to operate Android Auto with your voice. Send a text message to my wife. For more information, please refer to the Android Auto homepage. You can also activate the voice recognition function by pressing the icon in the upper-right corner of the screen.